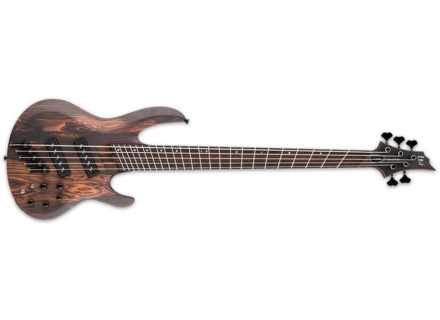 B-1005SE Multi-scale, 5+ string bass guitar from LTD in the Standard B series. Left-handed versions are also available. More details at www.espguitars.com. [MUSIKMESSE][VIDEO] Live from the Hotone booth At the Musikmesse, Hotone present a large collection of guitar pedals and mini amp heads. [MUSIKMESSE] Blackstar present the Fly 3 Bass Blackstar Amplification has unveiled the Fly 3 Bass, a bass version of its 3-watt mini-amp range. [MUSIKMESSE] Hofner present four effect pedals Mostly known for their guitars and basses, Hofner presents four limited edition, vintage-oriented handmade effect pedals at the Musikmesse.